Everyone thinks that a house provides both stability and financial security, but on today’s show, I’ll explain why that is not always the case. I’ve meet with thousands of homeowners over the last 20+ years who have filed a consumer proposal because their home started their downward debt spiral. It is true that if you live in the same home for many years, you have stability. However today we are relying on our homes increasing in value enough to cover off any debts we accumulate. Here’s the one underlying problem with that assumption: real estate prices are both unpredictable and volatile. If you purchase more home that you can afford you risk building up debt. Living expenses and other housing costs often get paid through the use of credit card debt when your mortgage takes such a big piece of your income. And there is no guarantee that the rising price of your home will bail you out. Even if you manage your debt levels, life happens and not always they way we expect. What happens if you change your job and this requires you to move? You pay real estate commissions when you move, but you also pay a penalty to break a fixed mortgage if you rent in your new location. And you have to pay moving costs. The true cost of selling your home and breaking your mortgage can be a lot higher than you expect. Even when rates are rising, if house prices are not increasing, the penalty to break your mortgage and closing costs can eliminate the profit on your house. What happens if you lose your job? Can you afford to keep up with your high mortgage payments? If you have other debts this can sometimes be a problem. Refinancing is an option for some but it’s not an option for everyone. There is no guarantee that getting a second mortgage will solve your debt problems. My point is, buying a home is not a financial certainty. Don’t let FOMO force you into a decision to buy a home assuming that it will provide you with financial security down the road. It may, but the decision to buy can also be just the beginning of your debt problems. As everyone who listens to this podcast knows, last month I published a book called Straight Talk on Your Money. Federal law requires me, as a licensed insolvency trustee, to keep notes on my discussions with clients if they decide to file a consumer proposal or bankruptcy. I’ve met with somewhere between 10,000 and 20,000 people over the last 20 years, and a few years ago I started going through my notes to see if I could figure out the most common causes of money problems. I picked the top 22 myths and mistakes people make, based on my experience talking to my clients, and that became the book. So guess which three chapters have generated the most controversy? Guess which three chapters are most likely to come up when I’m interviewed in the media? It’s the three chapters on real estate. Real estate has almost become like a religion for many people in Ontario. Real estate prices have been going up for years, so people naturally assume that they will go up forever. I’m not a real estate expert, so I’m not going to attempt to forecast the future price of real estate. What I do know is that real estate prices are both unpredictable and volatile. As I record this in October, 2017, real estate prices in Ontario peaked in April, dropped through the summer, and then depending on who you listen to in September they stopped falling as fast, or stabilized, or have started to recover. I don’t know. And neither does anyone else really. What I do know is that, over the years, I have met with hundreds of people who spent too much on a house, and ended up getting into financial trouble. When I ask people why they bought the house that they did, they give me many answers, but the most common answer is something like: “house prices go up, and I don’t want to waste my money on rent”; I’ll come back to that opinion in a future show, but there’s another reason people give for buying a house, and that’s the reason I want to talk about today. My clients tell me that they bought a house because they wanted financial security, and stability. That reason does make some sense. I know lots of people who were renting, and then the landlord decided to sell the house, so they had to find another place to live. I know the Ontario government is looking at changes to the law that would prevent landlords from easily booting renters out of the house when they want to flip it, but regardless, if you sign a one-year lease, there’s no guarantee that the landlord will renew your lease at the end of the term. Having to pick up and move is very disruptive. Sometimes it’s simple things, like you have a dog or a cat, and it’s harder to find a place that accepts pets. It’s even harder if you have kids in school. It’s disruptive if you can’t find a new place in the same school district, so now not only are you dealing with a house move, but you are also dealing with a school move. And what if you have physical limitations? It’s more difficult to find a place if you need an apartment that is wheel chair accessible, or a house that is on one level so you don’t have to deal with stairs. And it’s for reasons like those that people like to buy a house, instead of renting. They can buy a house and know that no landlord can force them to move. They can stay in the same school district for as long as they want. They can do renovations to the house to make all the rooms accessible if they have physical disabilities, and the landlord can’t force them to move. In simple terms, owning a house gives you stability. It also gives you financial security, because once you do the renovations, that’s it. There’s no worry about needing to put in another wheel chair ramp to the front door ever again. Once it’s done, it’s done. This all sounds great. Obviously if you have a pet, or kids in school, or if you have special needs, owning a house is the way to go. Maybe you just like to paint the walls whatever colour you want. Owning is better, because then you don’t have a landlord telling you what you can and can’t do. We can argue over if real estate prices will go up or down in the future, but no-one can argue with the fact that a house gives you stability and financial security. Well, sorry to burst your bubble, but there is another side to this story. Stability is great, when you want stability, but sometimes flexibility is more important than stability. I want to tell you a story, but before I do, let me refresh your memory as to what happens when you sell a house. 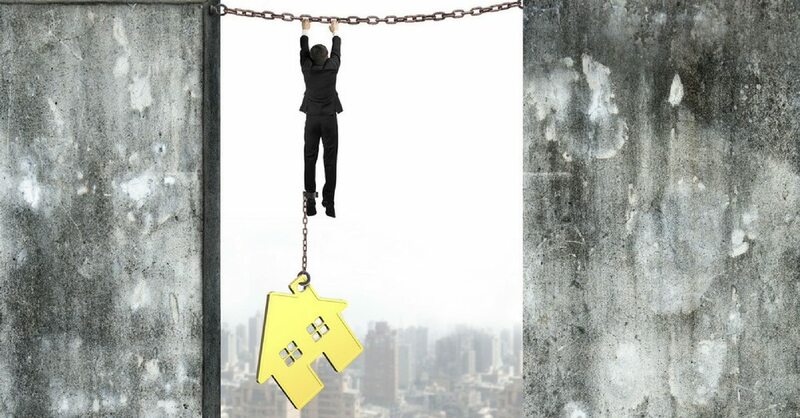 When you sell a house you have to pay real estate commissions, and legal fees, and, if you have a fixed or locked in mortgage, you have to pay a penalty to break the mortgage. If you sell one house and buy another one, and the mortgage lender lets you port your mortgage from the first house to the second, you may not have to pay any penalties, but if you are going to sell your house and not buy another house, the penalties to break a mortgage can be substantial. Most mortgages have, at the very least, a “three-month” penalty, where you are required to pay the interest for the next three months. But most mortgages also have an “Interest Rate Differential” penalty, or IRD. When you break the mortgage and sell the house, the bank gets their money back, but since they had planned to lend it to you for the next 25 years, now they must find someone else to lend it to, since you broke the deal with them. 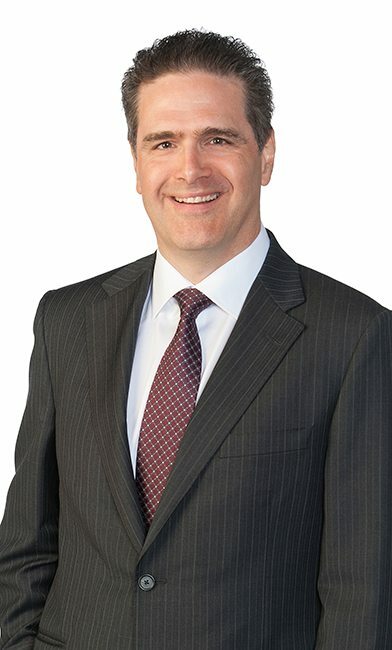 Now you may think, no problem, the Bank of Canada raised their benchmark interest rate by a quarter of a point in both July and September, 2017, and as a result mortgage rates have also increased, so if interest rates are higher now than when you borrowed the money, the interest rate differential is in the bank’s favour, so no problem. You wouldn’t have to pay any penalties. That would make sense. Let’s assume you borrowed at 2.8%, and the current interest rate is 3%, so if you pay off your mortgage the bank can take your money, and instead of lending it to you at 2.8%, they can now lend it to someone else at 3%, so the bank is actually going to make more money now that you have paid off your mortgage, so great, no penalty. That does make sense, but it doesn’t always work out that way, even when interest rates are rising. Some banks calculate the Interest Rate Differential not based on your actual rate, but on the posted rate. So if, when you got the mortgage originally, the posted rate was 3%, but the bank “gave you a deal” and gave you the mortgage at 2.8%, the penalty will be calculated based on the posted rate back then, and the posted rate today, which may not be the actual rate. So even though you got a five-year mortgage at 2.8%, and that was three years ago, so now you want to break it with two years left, and even though a borrower could negotiate a rate of 3% today, which is higher, so there should be no penalty, the bank may use the posted rate back when you got the mortgage, which was 3%, and the posted rate today of 2.9%, which is lower, so you end up paying a penalty. See what happened there? The bank played a game, and switched the rates on you, so the Interest Rate Differential calculation works out in their favour. Even if rates are rising, they still win! Now I know you are thinking I’m making this up, but I’m not. I’ll include a link in the show notes over at hoyes.com to a blog post written by a mortgage broker that gives some examples from one of the big banks, so you can see that this can happen. So to summarize: when you sell a house and break a mortgage early, you suffer any drop in the value of the house, but you also pay real estate commissions, legal fees, and you may have to pay a substantial penalty to break your mortgage; it’s not just a three month’s interest penalty; the interest rate differential penalty could have you paying a substantial penalty to break your mortgage. With that background, let me tell you the story of Jim. He bought a condo when he was working in Toronto. Then, six months later, he was offered a great job in London, Ontario. It was too good an opportunity to pass up, but he knew he couldn’t commute every day from Toronto to London, and he couldn’t afford to keep two places, so he called his real estate agent about putting the condo up for sale. The agent told him that prices had dropped slightly from when he bought it, but no problem, they could still sell it quickly. The agent told Jim that prices had dropped about 2%, but Jim would also have to pay a 5% real estate commission, and because he had a locked in mortgage, he would have to pay a penalty to break the mortgage. He paid $500,000 for the condo, and he could sell it today for $490,000, so that’s a $10,000 loss. His real estate commissions would be $24,500. The penalty to break the mortgage, because he was only 6 months into a 5 year fixed rate mortgage, would be another $10,000, mostly due to the interest rate differential calculation. Not including moving costs, selling the condo would cost Jim almost $45,000. Jim doesn’t have $45,000 sitting around, so what does he do? Keep the condo in Toronto, and try to rent it out, and then wait to sell it when the mortgage comes up for renewal? Jim doesn’t want all of the hassles of being a landlord, particularly with him living two hours away, so he doesn’t like that idea. He could buy another place in London, and if he can port his mortgage from his place in Toronto to the new place in London he can save some or all of the $10,000 fee to break the mortgage, but he’s still stuck with the real estate commissions and the loss on his place in Toronto. Over the years I’ve helped lots of people like Jim, and in a lot of cases they decided to NOT take the new job, and keep the house and the job they’ve got, because the cost of selling the house and moving is just too much. I understand. Paying a $45,000 penalty to take a new job in a new town is a lot of money. Even if the new job pays $10,000 a year more, it will still take Jim many years to “break even”. And that, my friends, is why owning a house does not guarantee financial security. In fact, owning a house can do the exact opposite. Owning a house can act like an anchor, keeping you in place when you want to move on. Because Jim owned a house, he was not able to take a new, more challenging job. He is stuck. So how do you decide if you should own or rent a house? First, and most obviously, crunch the numbers. The cost of a house is more than just the mortgage payment, so consider all costs when making the buy vs. rent decision. Second, consider your future. Pull out your crystal ball and ask yourself this simple question: what are the chances that I will want to move in the next few years. Will I want to get a new job? Will I be getting married, or will I be starting a family that will require a bigger place? If you are already married with three kids and unlikely to be having any more, and if you have a stable job that you love and you have no intention of looking for another job, the risk of owning a house is a lot less for you. Owning a house may be the correct answer for you. But, if you are in a job that is not stable, or you are in an industry that is not stable, tying yourself down with a house may not be a wise decision. To summarize: the decision on if you should buy a house is not just a guess on whether or not real estate prices will go up in the future. Even if house prices do go up, owning a house could be a bad decision for you if you want to move, so it’s very important to consider how your future may unfold. That’s our show for today. And if you want to read those three controversial chapters on real estate, my book is called Straight Talk on Your Money, and it’s available in better bookstores across Canada, and on Amazon, Indigo.ca, and as an audio book. 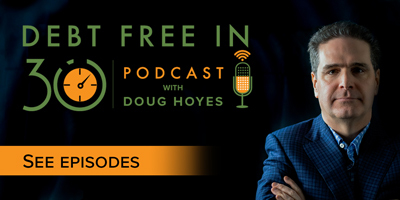 Thanks for listening, until next week, I’m Doug Hoyes, that was Debt Free in 30. Why Does Home Ownership Cause Financial Problems? Renting Vs Buying: Which One Makes More Sense?